The next avatard is always worse than the one that comes before it—that’s what ‘devolving’ implies. If Bernie were to win the election Republicans would be so spooked we’d have militias popping up faster than at a Draw Mohammed Day in Damascus. On a related note, The Daily Discord will not be participating in the Draw Mohammed Day in Damascus this year. We’re not afraid of Assad, but Putin bombed the only good brewery in the whole blanking subcontinent. Yeah, all this trouble and it’s only a subcontinent. Meanwhile, the Oregon militia would only be a blip should we choose to elect a socialist to the White House. This is also fine with me as I have shifted my portfolio heavily toward Bunker Bob’s Military Food Rations. And, as a true liberal, I’m prepared to defend my family at all cost. 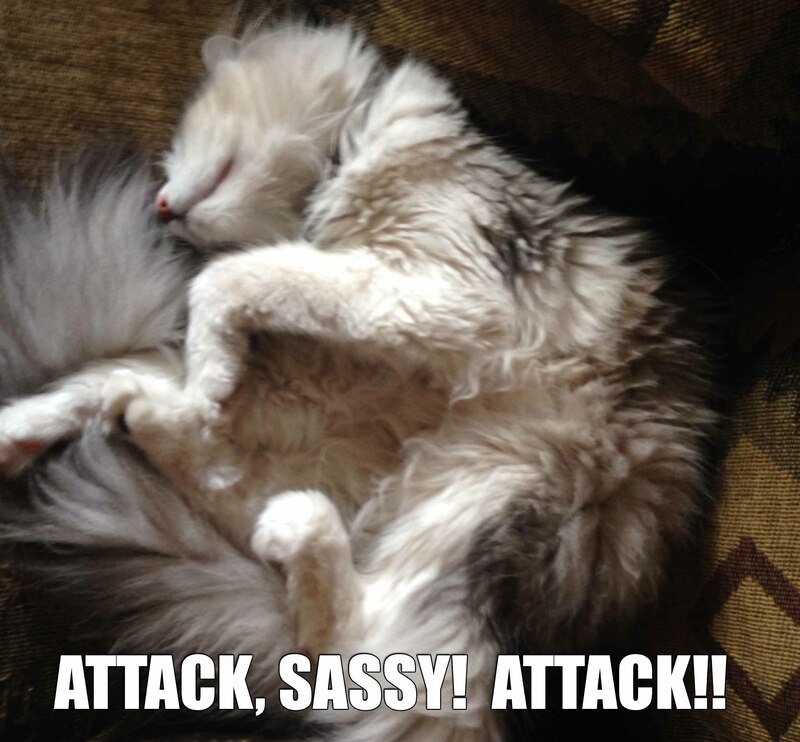 With that in mind, I’ve been training our house cat to attack strangers. She’s asleep right now, but if the intruders fail to clean out her litter box in a timely fashion or neglect to give her treats, watch out! Any type of Democratic victory would effectively resonate through the Fartland as: “We’ve lost ‘Murica”. Schmuck Dynasty? Remember how we degraded Al-Qaeda? All that netted us was ISIS. It’s the same idea if we beat them this election, they’ll go underground. They’ll be like a wounded animal, aka, even less literate. A disenfranchised Republican party will have an even more negative implications for our country as, last I checked, ISIS doesn’t get to vote here. Even a Hillary Administration would breed so much hatred and outrage that it’s tough to know how our misinformed Fox & Friends would react. So what’s the answer? I danno. Damned if we do, damned if we vote. Yeah, well maybe you should understand how “clown car” and “presidential nominees” shouldn’t represent the same thing. Make no mistake, a Dem president represents our best case scenario. If we elect a delusional person with an obvious personality disorder (see: any Republican nominee) a thermonuclear war is likely. Don’t worry, I am prepared for that eventuality as well. Sassy is also being trained to identify and alert the household of the presence of radioactive isotopes…or, in the case of a Republican president, AM radio Isodopes. 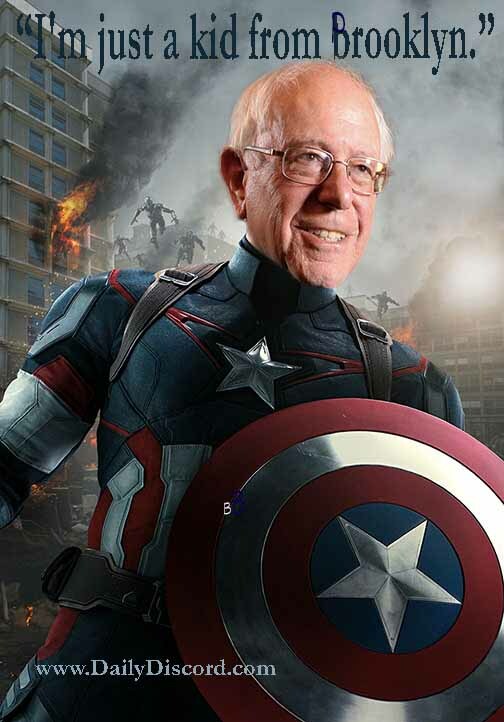 *Sanders image courtesy of our cameraman and Photoshop guru, Mr. Greg Sherman.